The Center for Intellectual Property Understanding (CIPU) is an independent, non-profit organization the helps to raise awareness of intellectual property rights and how they impact people’s lives. 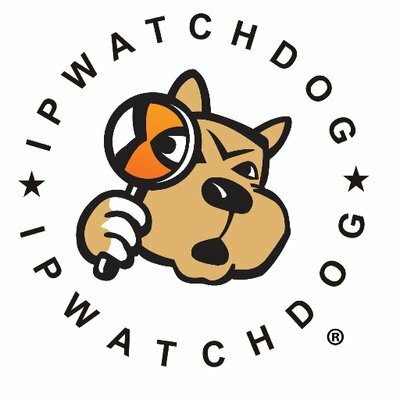 CIPU makes IP rights more intelligible by showing what they accomplish, holding events and encouraging discussion between IP users and owners. The organization makes it easier for people to connect the dots between why rights like patents, copyrights and trademarks (and trade secrets) exist, how they work and who they ultimately effect. Founded in 2016, CIPU provides a framework for understanding IP rights’ role in establishing inventions, creative works like music movies and books and brands. CIPU also examines how IP promotes competition and jobs. 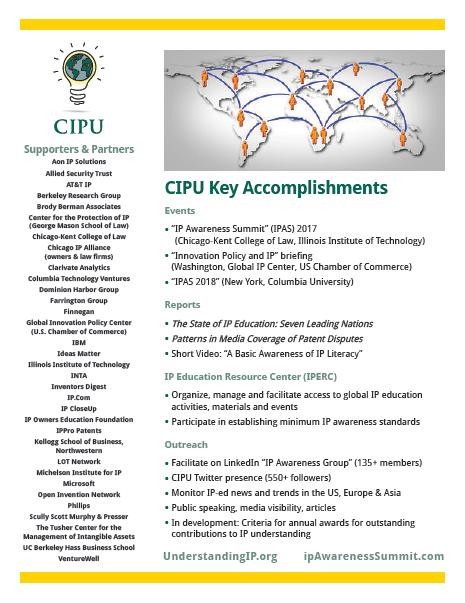 A summary of recent CIPU accomplishments and contributors can be found here. A summary of research and surveys focusing on IP awareness and attitudes conducted over the past decade in the U.S., Europe, and Asia reveals a growing disconnect between consumers intellectual property awareness and behaviors. The recent IP Awareness Summit was hosted by CIPU in conjunction with Columbia Technology Ventures at the Columbia School of Journalism. It included four keynote speakers, including USPTO Director Andrei Iancu, 17 topic speakers, four panels, three breakout sessions and 120 participants. Ideas are the primary value-driver for business today. Yet the rights that protect inventions, recorded music, books, branded goods and other creative works are regarded by many as obstacles. 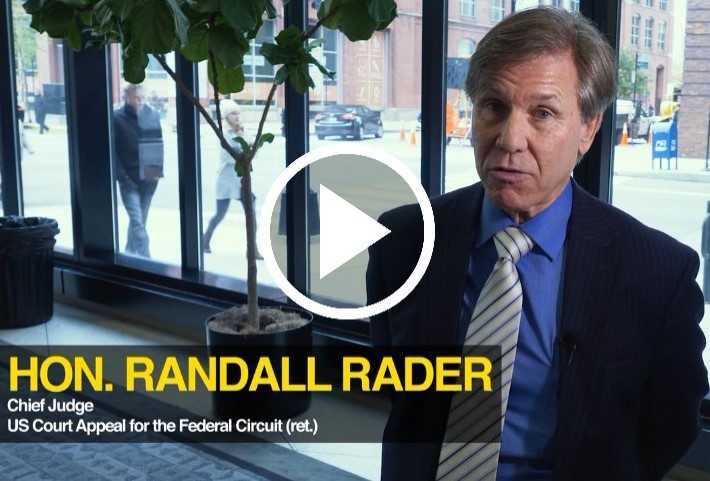 The mission of the Center for Intellectual Property Understanding (CIPU) is help the public, government business to understand how IP rights affect peoples’ lives, and why they need to be taken seriously. On Tuesday an open briefing was held in Washington to better understand U.S. innovation and IP policy. Congressman Doug Collins (R-GA), a supporter of strong and certain IP rights, launched the event with a personal account of his exposure to IP rights growing up in rural Georgia. Countries highly dependent on intellectual property rights do little to educate people not working in the IP field about the importance of such rights, an industry-backed study has found. The challenge of how to improve understanding of intellectual property was debated at the Second Annual Intellectual Property Awareness Summit in New York on November 29. United States intellectual property stakeholders from academic, business and legal backgrounds gathered recently to discuss how to increase public support to strengthen the intellectual property rights system in the US. 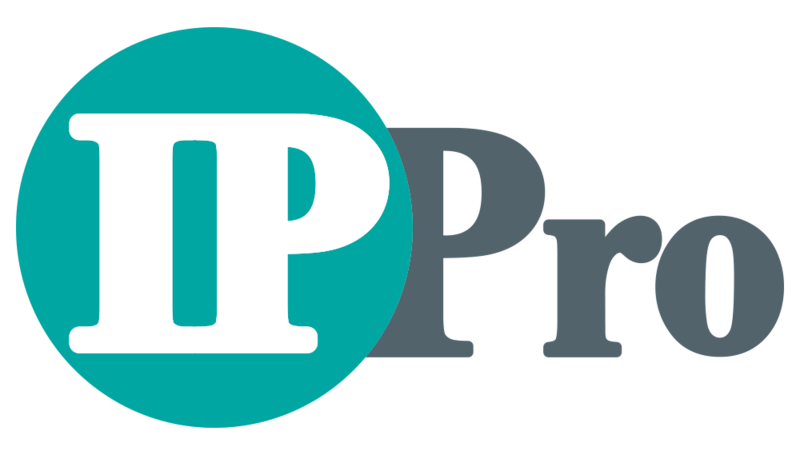 Earlier this year a group of senior IP figures, led by Bruce Berman, launched the Center for IP Understanding (CIPU), a non-profit organisation focused on increasing awareness of the impact of IP on society. IPAS2017 is the first conference devoted to mitigating audiences’ confusion about the role of IP rights in creating value and improving lives. . .